Team Suzuki Press Office – April 22. Team SUZUKI ECSTAR’s rider Alex Rins sustained a crash this morning during Americas GP Free practice 3 session, that caused a fracture to his left arm. Rins was in his first lap of a new run when he incurred in a high-side with his GSX-RR at corner 19. For this reason he will not be able to take the start at tomorrow’s race. 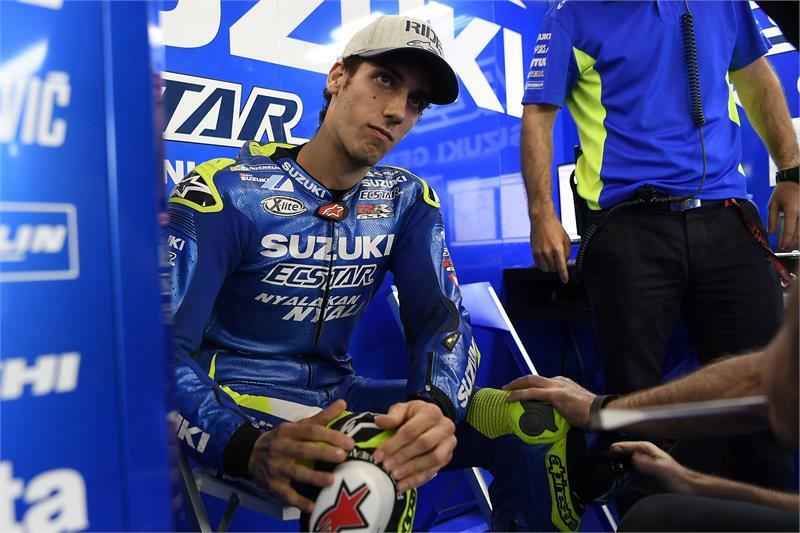 Right after the crash Rins was transferred to the medical center for medical controls and the X-rays indicated a “radius and ulnar dislocated fracture of the left wrist”. Rins is now being transported to the University Medical Center Brackenridge in Austin for further medical checks, where the fracture will be stabilized in order to allow him to fly back to Spain and undergo further medical treatments, probably a surgery.